Pokémon Sun and Moon aren't far away, and the hype is building with the Special Demo Version about to roll out on the eShop. Though announcements and reveals have been frequent, eager fans are still spotting intriguing details in unconventional ways; with that in mind it seems that a new 'mon may have been discovered. The latest find is from Pokémon Trading Card Game packaging on Amazon Japan. The Booster Box for the Collection Sun set features an unknown blue Pokemon on the side; right now there are no known details on name, type and so on, so we'll have to wait for its formal reveal. 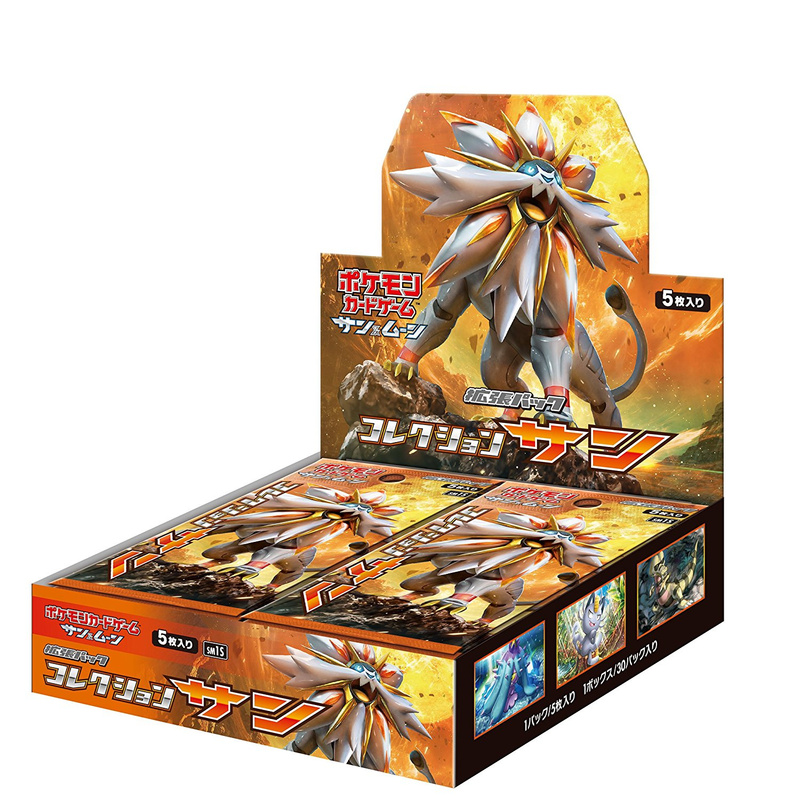 You can see the packaging and the 'mon in question below. Do you like the look of this one, and what type do you think it'll be? Let us know in the comments. 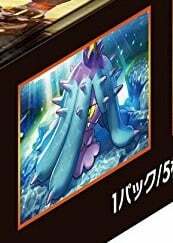 I'm guessing its a water/poison type, looks like a cool design. Clearly it'll be fire, ice, and ground type. I would believe that. Sea urchin Pokémon perhaps? 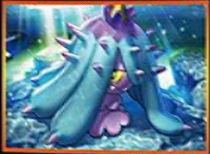 Looks to me like a sea cactus... Maybe a Grass/Water type? ...Can we just take a second to appreciate how good the art on these cards are? Just amazing. Nintendo or perhaps pokemon fans, or both, are so voracious! Everyone is so desperate for any news because nintendo has bugger all on the horizon until nx is revealed. Yet another Pokemon you don't wanna step on! I like the design of this one. @Alshain01 As much as I would love to see other than gen 1 get the alolan treatment, this guy looks way too different for it to be a Maractus. I find it very cute and that's one of the main reason for me to train a Pokemon. makes me think of mawile in all honesty. but ya probably water/poison unless they make it be a grass/poison since its most likely based on a sea urchin. @Classic603 Possibly, though I think it looks more like a crown-of-thorns starfish. 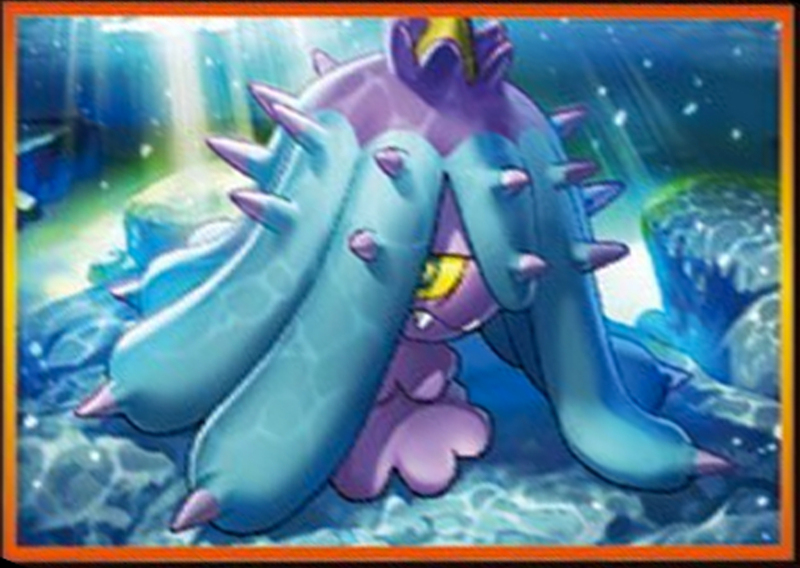 Looks like a Mawile pre-evolution. Maybe a new region exclusive pre-evolution. @whanvee exactly what I thought. The vines just have to evolve into the maw! Yup, as others have stated, Water and Poison type most likely. Reminds me of Yokomon. Like, a lot.